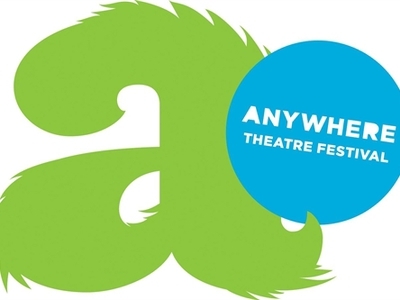 If your idea of theatre is to arrive early for pre-performance cocktails, purchase an expensive program and enjoy the perfect acoustics from the comfort of you plush seating then perhaps the 2013 Anywhere Theatre Festival is not for you. But if you embrace the excitement of surprising theatre in very surprising places then mark 8 to 19 May on your calendars and be prepared for the unique and the unusual. It's for anyone and everyone. [ADVERT]The festival has grown exponentially since its debut year of 2011 when 4000 people attended. In 2012 this had grown to an audience of 66,000. The scale and scope of this year's festival is monumental. Across twelve days there will be 270 performances of 49 productions in a range of genres including drama, poetry, dance, comedy, circus, cabaret and musical theatre. Off-the-wall locations include shop windows, a walking tour through Queen Street Mall, streets, restaurants, the State Library of Queensland, private houses, Queensland Museum and Sciencecentre, and Roma Street Parklands. Lore School. Image from event website. When: Any time from Wednesday 8 to Sunday 19 May 2013. Individual performance times vary. Where: Anywhere from private houses to parklands. Individual performance venues vary. Cost: Any amount from free to $55. Book by clicking on the Book now link for your choices from the program. Who can attend: Anyone, although there are age restrictions for some events. The program includes ratings for each event. Program: Check the program by genre here or the program by date here for full details including descriptions, venues and times. The following are some highlights I have picked from the program but as they say, there really is something for everyone. Who needs plush seating and perfect acoustics? This production by Black Fox Theatre is a Star Wars / Shakespeare mash-up. How could you miss it? Cost: Tickets range for $10 to $18. Click here to book. This walking tour, set one hundred years in the future, examines 'the peak of rampant consumerism, ignorance and individualism that was 2013'. When: From Sunday 12 to Sunday 19 May. 5.30pm performances each day and extra 2pm performances on weekends. Cost: Tickets range from $15 to $20. Click here to book. When: Friday 10 and Saturday 11 May at 7.30pm. Cost: This is a free performance but you must book by clicking here. 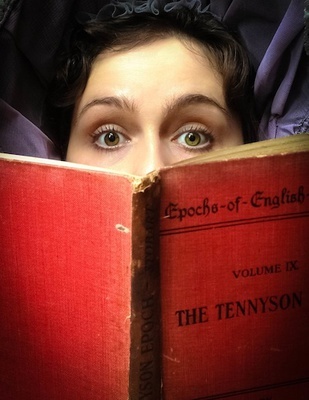 These improvised literary comedy performances presented by ImproMafia should be a must for anyone who loves books. When: Sunday 12 and Saturday 18 and Sunday 19 May at 6pm. Cost: Tickets $15. Click here to book. 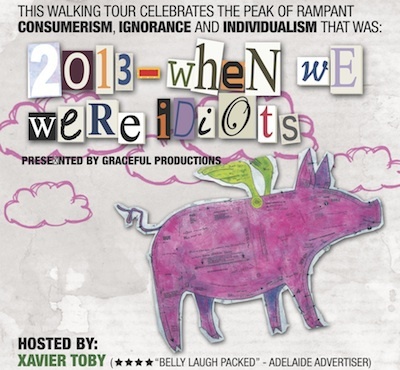 When We Were Idiots (A Walking Tour). 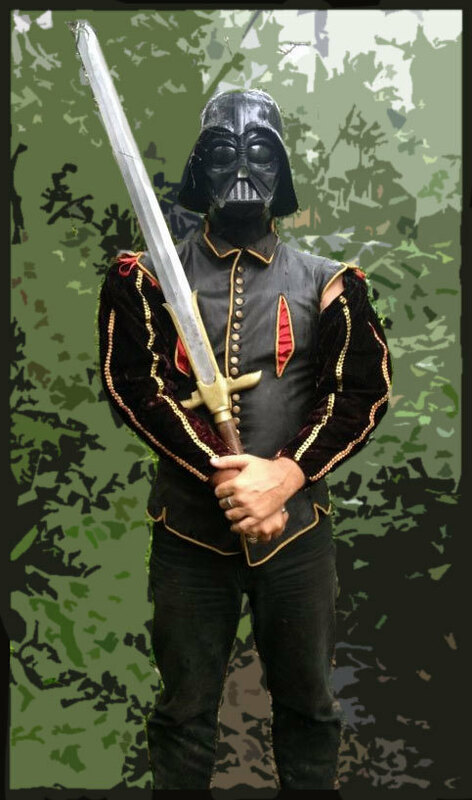 Image from event website. Given the huge popularity of fringe festivals around Australia it's disappointing to note that this will probably the Anywhere Theatre Festival's last year. Despite its success the festival has received reduced funding from Arts Queensland this year and gets no monetary assistance from Brisbane City Council. This has put a really big question mark over the future of the festival. So you'd better get in for the modern equivalent of story-telling around the campfire while you still can. Why? Theatre for anybody - anywhere, any time. Where: Various surprising venues around Brisbane. See program for details. Cost: Ranges from Free to $55. Check program for details.